Inspect at Lloyds Auctions or bid online for this auction. Whether you are a large scale commercial buyer or someone who works for home, we have office furniture and equipment for any need here at Lloyds Auctions. Maybe you just love stationery so much and get super excited by pens and paper? Whatever the practical requirement, we can get your sorted. We offer a comprehensive range of office furniture and equipment for sale – available for a bargain at one of our online or onsite auctions. Looking for cheap office chairs that still spell ‘boss’? It’s got to be ultra-padded, ergonomic and it’s got to have a real swagger of a swivel, right? If you are looking for office furniture online to provide that professional edge we have a high-quality range for sale at Lloyds Auctions. We have desks for sale for use in small to large scale corporate settings. We also have your ‘at home’ standard fare – simple desks and laptop stands appropriate for study and for projects. 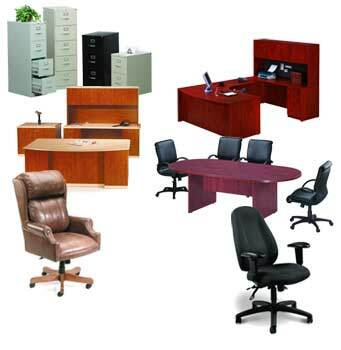 We sell bookshelves, filing cabinets and anything else that you might possibly require for a corporate or home office environment. Are you looking value when it comes to office equipment? Keep costs low and have a look at our vast range of items for auction. Whether it is lecture stands, projectors, conference stands, paper shredders, we have what you need – for less. Maybe you are setting up a temporary work space in a new location? Our online auctions items can be shipped within Australia and most other places too! We make it so easy and convenient for you at Lloyds Auctions. A majority of our auction lots are also unreserved and bidding starts at as low as $1. View Office Furniture Auction Items!